All tracks in chronological order recorded between 1985 & 1989 on 8,16 & 24 track reel to reel! 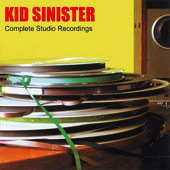 For further information on Kid Sinister and related projects see www.sons-of-art.com or email info@sons-of-art.com if you want further commentaries on the songs, lyrics or details of future releases. Thanks to Clive 'Crazy Lex' Blackmore & Chris Mitchell for help at the start and Adam Cole for the T-Shirts! Thanks to all those who played with us and contributed to these recordings. This album is dedicated to all those who supported us and those who continue to keep the flame flickering! ...and don't forget it was the 1980's ! All songs written by John Douglass apart from Track 2 - by John Douglass/Tim Walter. All songs & recordings Copyright Control. This release copyright control Sons of Art Records licensed to Bristol Archive Records. All tracks re-mastered by Dave Lewis at Lakeside Studios. All are transferred from cassette recordings of live PA mixes so there is some background noise on some tracks. Thanks to all the live engineers, special mention in despatches to Pete Watson. The songs on this album have never been released before and if you also buy The Complete Studio Recordings, ARC016, you will own every song Kid Sinister ever did! Thanks to all the musicians who played with us over the years, all the fans who supported us and to all our friends and families... hope this brings back a few good memories! 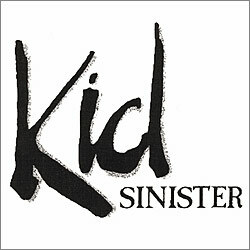 Visit www.sons-of-art.com or www.myspace.com/kidsinisteruk for more info.